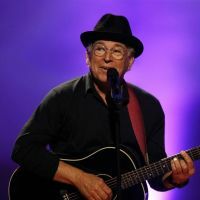 Jimmy Buffett and The Coral Reefer Band will perform on stage at Montreal's MTELUS on July 10, 2019. This rare stop by Jimmy Buffett in Montreal is part of his "Son of a Sailor" tour. The "Parrotheads" will be delighted to be able to experience the Margaritaville vibe with the famous 72 year old country singer! Don't miss Jimmy Buffett on stage in Montreal! 2Tickets.ca acts as a third party and is in no way associated with Jimmy Buffett.